Ever since I have tasted this dessert – Sago Gula Melaka at the high-tea buffet at Shangri-la Hotel two weeks back, I never forget the sweetness from the Coconut Sugar (a.k.a Gula Melaka) and the aroma of the coconut milk. This inspired me to make it myself. I am pretty sure it is a very easy dessert to make. Especially when my whole family has just recovered from a series of flu and “heatiness”, Sago and coconut are widely known as cooling food to counteract the heatiness. Plus, you can have this dessert cold or warm or room temperature, it is equally nice. 3 ingredients and 15 minutes (it may take longer if you reside in cold country) are all it takes. Simple and easy steps below. 1. (Cook Sago Pearls) Boil the water in a pot. Once water is boiled, put in the sago pearls and turn to medium heat. Stir occasionally. Keep the water boiling as the turbulence prevents the sago pearls from sticking to one another. Cook for 15 minutes until all become transparent. Drain the water using sieve and run the cooked sago under running water to remove the starch. Set aside. 2. 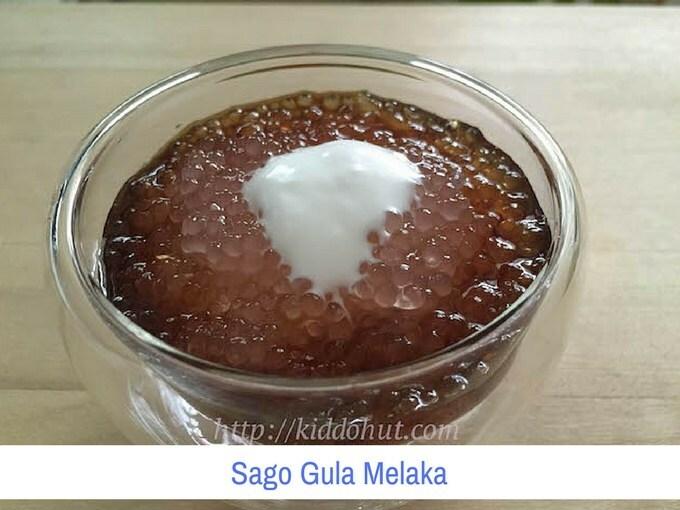 (Make Sugar Syrup) While the Sago pearls are boiling, chop the gula melaka into small pieces. Add 1 tablespoon of cool boiled water to the chopped gula melaka and melt them in a non-sticking pan under low heat. Remove from heat after the sugar is melted. 3. Put 1-2 tablespoons of sugar syrup in a cup, then top with sago pearls before drizzle some coconut milk or cream on top. 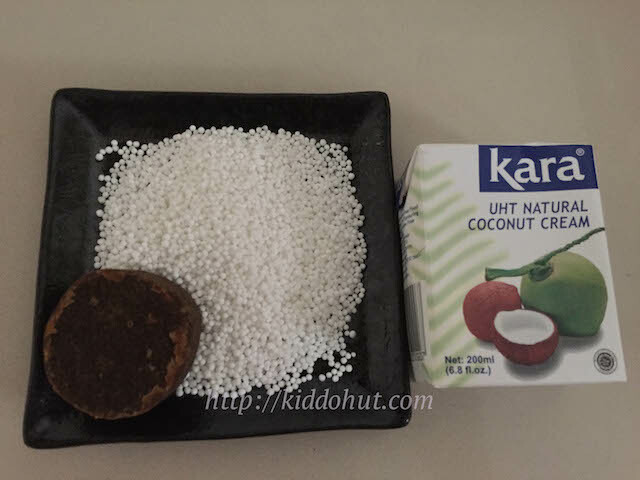 Adjust the amount of sugar syrup and coconut cream/milk to your desired preference. Serve.